We would have to argue that the best things in life come in small packages and that it’s all about valuing the little things. You’d be surprised by how a little thought can go such a long way in this crazy thing called life. It’s not always how much, how extravagant or how grand something is; sometimes it really is just the thought that counts. A little thought, a little effort, and a lot of love is what goes into creating a personalized mini photo book, perfect for almost every of life’s occasions. Share your most treasured photographs in a unique way by creating a small keepsake that can be customized to your specific taste and liking. 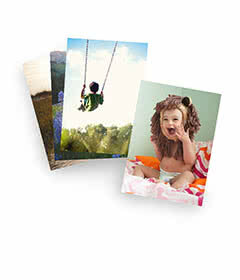 Mini photo books allow you to take your loved ones with you wherever you go, think on-the-go photo sharing fun. Whether you’d like to be reminded of your family vacation in the office or keep these memories with you in the car wherever you choose to go, a mini photo book is the perfect size to take with you. You can also give them as gifts. These handy and clever little photo books aren’t just your average keepsake but, a keepsake close to the heart and ready for sharing. Here are some great examples and photo book ideas for your sharing your memories with a mini book project. Whether it be your quick trip to Mexico or your long trek through Europe, mini photo books are the perfect way to remember every moment. Fill the pages with memories you will cherish for a lifetime and do so in a stylish way. No matter where in the world you go, you can find stylish designs that fit the overall theme of your photo book. Hand select sophisticated borders that will frame your family adventures. You can also add captions to the pages that read where the photo was taken or say something cute to remind you of the time well spent. The fun part is you can even make one for each family member that was able to make it on the trip. Not to mention, it even makes for a great conversation piece on your coffee table. Make a photo book perfect for that special someone. A love storybook can be a timeline of photos from your first date, to your first kiss and more. A mini album is a gift that your significant other will surely treasure and keep close to his or her heart. Like we mentioned, a little thought goes a long way and this gift will remind your partner of just how much you love him or her. The perfect little gift for Valentine’s Day, a birthday or even just because. We could all use a little reminder that we’re loved every now and again. You can also create a mini wedding photo book for your spouse. That special day the two of you said, “I,do” should be cherished. Make your significant other smile with a little remembrance of that day. Use design elements like the word love or even add an inside joke that is personal to the two of you. That will add an amazing design element to your mini love album. Remember our mini photo books are perfect for the pocket, purse or briefcase and make reminding that special someone just how special they are ever so easy. Mother’s Day or father’s Day gifts, anyone? When we know that Mother’s or Father’s Day is right around the corner we may begin to stress on what gift he or she will appreciate the most and what would be the most meaningful. We also know that sometimes it can be hard to think of the perfect gift for these special people in our lives. We want our gift to make our mom’s and dad’s feel extra special, especially on the day that is designated just for honoring them. What could be more personal than an album of photos that take mom or dad for a walk down memory lane? Remember that these cute miniature photo books make for the most heartfelt gifts for mom and dad. When designing your Mother’s Day miniature photo album consider floral design elements and colors that you know your mom will love. Show off her favorite photos in a unique and sleek way. For Father’s Day add strong borders around your photos for a photo book that will surely pop and he will love showing to his friends or co-workers. Does your dad love sports? Design one of the pages with sports in mind and you can’t go wrong. Let’s talk about how portable and office friendly these mini photo books with sleek designs are. What a perfect place to cherish your kids’ memories and never miss a moment. Kids seem to grow up right in front of our eyes so make sure to savor every special moment on the pages of a mini photo book that you can take with you wherever you go. High-quality and long-lasting are a few elements that will make your kids’ photo book the perfect place to savor your childrens’ memories. Take it to the office, keep it in your car, or display it on the mantle of your home to bring warmth and memories to any space. When designing your book you can set aside a couple pages for each of your children. Customize the text on each page and choose a color theme you think will represent each of them individually. Get photos off of your phone and computer and begin creating a kids’ photo book that will have you smiling from ear to ear. We know that being a parent means feeling like you never have enough time to get everything done. That’s why we have made it simple and easy for you to create a photo book of your kids. Let the bragging begin. One thing that we know for certain is that grandparents love to talk about and show off pictures of their grandchildren and it’s not like they need any extra encouragement to do so. Although they don’t need the extra encouragement, you might as well make it easier for them to do so with one of our mini photo books. Or should we call it ‘grandmas brag book?’ Instead of only showcasing photos of just the grandchildren and their accomplishments add photos of the kids’ with their grandparents. These special memories will touch the heart and let grandma and grandpa know just how grand they really are. Mini brag books make for the most perfect gifts whether it’s Christmas or the celebration of a birthday. On top of that, they can also be designed and personalized to your liking. The grandparents will have full “bragging rights” especially when they pull out their very own personalized photo books of the grandchildren. These little memory holders are small and easy to take with you no matter where you go (perfect for the grandparents.) We can’t think of a better way for grandma to tell her friends and even the grocery store check out person about all of her grandchild’s accomplishments. If you just had your first child, a great way to remember the family memories of that day is with a photo brag book. • Grandma’s brag book can be stowed in her purse during her book club sessions, church groups and luncheons, ready to show off the new little grandchild to all of her friends. • Grandpa can keep his brag book in the truck and show off his adorable little ones whenever he gets the chance to. What a perfect reminder and reason to smile. Making a smaller custom photo book has never been easier. Just follow Shutterfly’s Simple Path that prearranges your photos as well as allows you to customize text and move your photos around to your personal liking. Follow these three simple steps. For those who want some assistance with their photo book, Shutterfly’s Make My Book path is the perfect solution. There is no way you could go wrong with your gift giving if you choose to give the gift of reliving precious memories. A mini picture book may be small, but it’s jam packed with a thoughtfulness that cannot be replicated anywhere else. Thinking about making a mini photo book? Check out our Shutterfly coupons page to stay up-to-date with the latest promotions.